In 2006, I obtained a doctorate degree in computer science and technology from Zhejiang University. I was awarded the title of "Microsoft Scholar" during his Ph.D. In IEEE T-PAMI, IEEE T-IP, T-MM, T-SMCB, Information Sciences, More than 120 papers were published in conferences and journals including Pattern Recognition, CVPR, ECCV and ACM MM. I am an Associate Editor of International Journals such as Information Sciences, Neurocomputing, Journal of Visual Communication and Image Representation, Neural Processing Letters, and a reviewer and program member of international conferences such as ACM Multimedia, ICIP, ICASSP, ICME, PCM, PSIVT and CAIP. In addition, I am also a special reviewer for IEEE T-PAMI, T-IP, T-VCG, T-KDE, T-MM, T-CSVT, TSMCB, IJCV, PR, INS, CVIU and other journals. 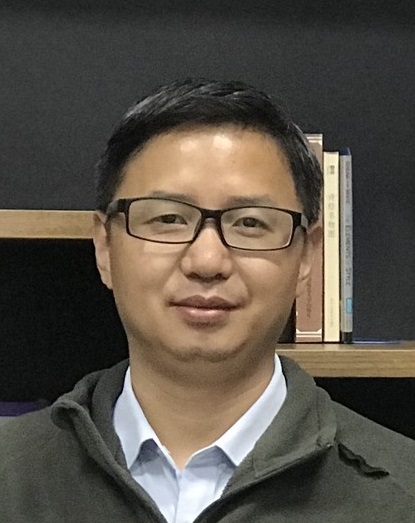 My research interests include: image information processing, machine vision and pattern recognition, big data visualization, embedded computer vision, human-computer interaction.
.	R. Zhou, H. Wu, X. Zhang, L. Ye, H. Shan, X. Song, M. Song, S. Zheng, Efficacy and Safety of Botulinum Toxin Type A Injection in Patients with Bilateral Trapezius Hypertrophy, Aesthetic Plastic Surgery. Acceptance.
.	J. Lei, Q. Luan, X. Liu, D. Tao, M. Song, Action Parsing Driven Video Summarization Based on Reinforcement Learning, IEEE Transactions on Circuits and Systems for Video Technology. Acceptance.
.	J. Lei, X. Gao, Z. Feng, H. Qiu, M. Song, Scale Insensitive and Focus Driven Mobile Screen Defect Detection in Industry, Neurocomputing. Acceptance.
.	J. Lei, X. Gao, J. Song, X. Wang, M. Song, Survey of Deep Neural Network Model Compression, Journal of Software (Chinese), 29(2): 251-266, 2018.
.	Z. Feng, C. Fu, W. Yuan, J. Lei, M. Song, Finding Intrinsic Color Themes in Images with Human Visual Perception, Neurocomputing, 273, 395-402, 2018.
.	Y. S. Rawat, M. Song, M. S. Kankanhali, A Spring-Electric Graph Model for Socialized Group Photography, IEEE Transactions on Multimedia, 20(3):754-766, 2018.
.	Yinting Wang, Zhenyang Wang, Dapeng Tao, Shaojie Zhuo, Xianghua Xu, Shiliang Pu, Mingli Song, AllFocus: Patch based video out-of-focus blur reconstruction, IEEE Transactions on Circuits and Systems for Video Technology, online publish, April, 2016.
.	Tongliang Liu, Dacheng Tao, Stephen Maybank, Mingli Song, Algorithm-Dependent Generalization Bounds for Multi-Task Learning, IEEE Transactions on Pattern Analysis and Machine Intelligence, 39(2):227-241, 2016.
.	Haoming Chen, Chao Wei, Mingli Song, Ming-Ting Sun, Kevin Lau, Capture-to-display delay measurement for visual communication applications, APSIPA Transactions on Signal and Information Processing, vol. 4, online publish, 2015.
.	X. Song, L. Sun, J. Lei, G. Yuan, M. Song, Event-based Large Scale Surveillance Video Summarization, Neurocomputing, vol. 187, pp. 66-74, 2016.
.	D. Tao, J. Cheng, M. Song, X. Lin, Manifold Ranking-Based Matrix Factorization for Saliency Detection, IEEE Transactions on Neural Networks and Learning Systems (T-NNLS), 27(6): 1122-1134, 2016.
.	H. Liang, R. Liang, M. Song, X. He, Coupled Dictionary Learning for the Detail-Enhanced Synthesis of 3-D Facial Expressions, IEEE Transactions on Cybernetics (T-CYB), 46(4): 890—901, 2016.
.	Binbin Tang, Xiao Liu, Jie Lei, Mingli Song Dapeng Tao, Shuifa Sun, Fangmin Dong, DeepChart: Combining deep convolutional networks and deep belief networks in chart classification, Signal Processing, 124: 156-161, 2016.
.	X. Liu, M. Song, et al., Random Shape Prior Forest For Multi-Class Object Segmentation, IEEE Transactions on Image Processing (T-IP), 24(10): 3060-3070, 2015.
.	Y. Wang, M. Song, et al., Where2Stand: A Human Position Recommendation System for Souvenir Photography, ACM Transactions on Intelligent System and Technology (TIST), 7(1): NO. 9, 2015..
. Ya Li, Xinmei Tian, Mingli Song, Dacheng Tao, Multi-Task Proximal Support Vector Machine, Pattern Recognition (PR), 48(10): 3249-3257, 2015.
.	M. Strathman, Y. Liu, E. G. Keeler, M. Song, U. Baran, J. Xi, M.-T. Sun, R. Wang, X. Li and L. Y. Lin, MEMS scanning micromirror for optical coherence tomography, Biomedical Optical Express, 6(1):211-224, 2015.
.	X. Liu, M. Song, et al., Random Forest Construction with Robust Semi-supervised Node Splitting, IEEE Transactions on Image Processing (T-IP), 24(1): 471-483, 2015.
.	M. Song, D. Tao, S. Sun, C. Chen and S. J. Maybank, Robust 3D Face Landmark Localization based on Local Coordinate Coding, IEEE Transactions on Image Processing (T-IP), 23(12):5108-5122, 2014.
.	Y. Wang, D. Tao, M. Song, et al., Video Tonal Stabilization Color States Smoothing, IEEE Transactions on Image Processing (T-IP), 23(11): 4838-4849, 2014.
.	L. Sun, M. Song, Z. Liu, M.-T. Sun, Real-Time Gaze Estimation with Online Calibration, IEEE Multimedia, 21(4): 28-37, 2014.
.	J. Lei, M. Song, et al., Whole-Body Humanoid Robot Imitation with Pose Similarity Evaluation, Signal Processing, vol. 108, pp. 136-146, 2015.
.	X. Liu, D. Tao, M. Song, et al., Learning to Track Multiple Targets, IEEE Transactions on Neural Networks and Learning Systems (T-NNLS), 26(5): 1060-1073, 2015.
.	M. Song, C. Chen, S. Wang, Y. Yang, Low-Level and High-Level Prior Learning for Visual Saliency Estimation, Information Sciences (INS), vol. 281, pp. 573-585, 2014.
.	L. Zhang, M. Song, Y. Yang, Q. Zhao, X. Liu, C. Zhao, and N. Sebe, Weakly supervised photo cropping, IEEE Transactions on Multimedia (T-MM), 16(1): 94-107, 2014.
.	L. Zhang, M. Song, X. Liu, L. Sun, C. Chen, J. Bu, Recognizing architecture styles by hierarchical sparse coding of blocklets, Information Sciences (INS), vol. 254, pp. 141-154, 2014.
.	L. Zhang, Y. Han, Y. Yang, M. Song, S. Yan, Q. Tian, Discovering Discriminative Graphlets for Aerial Image Categories Recognition, IEEE Transactions on Image Processing (T-IP), 22(12): 5071-5084, 2013.
.	L. Sun, M. Song, C. Chen, D. Tao, J. Bu, C. Chen, Motionlet LLC Coding for Discriminative Human Pose Estimation, Multimedia Tools and Applications, 73:327-334, 2014.
.	Y. Liang, M. Song, et al., Colorization for Gray Scale Facial Image by Locality-Constrained Linear Coding, Journal of Signal Processing System, 74(1): 59-67, 2013.
.	M. Song, D. Tao, J. Bu, C. Chen, Y. Yang, Color-to-Gray based on Chance of Happening Preservation, Neurocomputing, vol. 119, pp. 222-231, 2013.
.	M. Song, D. Tao, S. Sun, C. Chen, J. Bu, Joint Sparse Learning for 3-D Facial Expression Generation, IEEE Transactions on Image Processing (T-IP), 22(8):3283-3295, 2013.
.	L. Zhang, D. Tao, X. Liu, M. Song, C. Chen, Grassmann Multimodal Implicit Feature Selection Multimedia Systems, Multimedia System Journal, 20(6): 659-674, 2013.
.	Q. Zhao, R. Zhou, X. Zhang, H. Sun, X. Lu, D. Xia, M. Song, Y. Liang, Morphological Quantitative Criteria and Aesthetic Evaluation of Eight Female Han Face Types, Aesthetic Plastic Surgery, 37(2): 445-453, 2013.
.	L. Zhang, M. Song, et al., Probabilistic Graphlet Transfer for Photo Cropping, IEEE Transactions on Image Processing (T-IP), 21(5):2887-2897, 2013.
.	L. Zhang, M. Song, et al., Fast Multi-view Segment Graph Kernel for Object Classification, Signal Processing, 93(6): 1597-1607, 2013.
.	M. Song, et al., Three-Dimensional Face Reconstruction From a Single Image by a Coupled RBF Network, IEEE Transactions on Image Processing (T-IP), 21(5): 2887-2897, 2012.
.	X. Deng, X. Liu, M. Song, et al., LF-EME: Local Features with Elastic Manifold Embedding for Human Action Recognition, Neurocomputing, 99: 144-153, 2012.
.	X. Liu, M. Song, et al., Attribute-Restricted Latent Topic Model for Human Identity Recognition in Sparse Camera Network, Pattern Recognition (PR), 45(12): 4204-4213, 2012.
.	X. Deng, Y. Shen, M. Song, et al., Video-based non-uniform object motion blur estimation and deblurring, Neurocomputing, 86: 170-178, 2012. .	M. Song, et al., Image-based sketch-to-photo synthesis via online coupled dictionary learning, Information Sciences (INS), 193:233-246, 2012.
.	M. Song, et al., Probabilistic Exposure Fusion, IEEE Transactions on Image Processing (T-IP), 21(1):341-357, 2012. .	Y. Lin, M. Song, et al., Sparse Coding for Flexible and Robust 3D Facial Expression Synthesis, IEEE Computer Graphics and Applications, 32(2): 76-88, 2012.
.	J. Yu, W. Bian, M. Song, et al., Graph based transductive learning for cartoon correspondence construction. Neurocomputing, 79: 105-114, 2012.
.	T. Sha, M. Song, et al., Feature Level Analysis for 3D Facial Expression Recognition, Neurocomputing, 74: 2135-2141, 2011.
.	C. Hong, N. Li, M. Song, et al., An efficient approach to content-based object retrieval in videos. Neurocomputing 74: 3565-3575, 2011.
.	K. Hao, M. Song, et al., Natural Grayscale Image Colorization via Local Sparse Coding, Journal of CAD/CG , 23(8): 1401-1408, 2011. .	X. Huang, Y. Lin, M. Song, et al., 3D Facial Expression Synthesis based on Nonlinear Co-learning, Journal of CAD/CG , 23(2): 363-370, 2011.
.	J. Liu, M. You, C. Chen, M. Song, Real-time Speech-driven Animation of Expressive Talking Faces, International Journal of General System, 40(4): 439-455, 2011.
.	M. Song, et al., Color to Gray: Visual Cue Preservation, IEEE Transactions on Pattern Analysis and Machine Intelligence (T-PAMI), 32(9): 1537-1552, 2010.
.	M. Song, et al., Image Ratio Features for Facial Expression Recognition Application, IEEE Transactions on System, Man & Cybernetics, Part B (T-SMCB), 40(3): 779-788, 2010.
.	M. Song, et al., Visual Context Boosting for Eye Detection, IEEE Transactions on System, Man & Cybernetics, Part B (T-SMCB), 40(6): 1460-1467, 2010. .
.	Y. Lin, C. Chen, M. Song, et al., Polar Field based Implicit Surface Reconstruction, Journal of CAD/CG, 21(8): 1035-1041, 2009.
.	Y. Lin, C. Chen, M. Song, et al., Dual-RBF based Surface Reconstruction, The Visual Computer, 25: 599-607, 2009.
.	M. Song, et al. Tone Mapping for HDR Image using a Probabilistic Model, Journal of Software, 20(3):734-743, 2009.
.	D. Tao, M. Song, et al., Bayesian Tensor Approach for 3D Face Modelling, IEEE Transactions on CSVT (T-CSVT), 18(10): 1397-1410, 2008.
.	N. Li, C. Chen, Q. Wang, M. Song, et al., Avatar Motion Control by Natural Body Movement Via Camera, Neurocomputing, 72: 648-652, 2008.
.	M. Song, et al., Gaussian mixture model based approach on color transfer, Journal of CAD/CG, 20(11): 1471-1486, 1482, 2008.
.	M. Song, et al., A robust multimodal approach for emotion recognition, Neurocomputing, 71: 1913-1920, 2008. .	M. Song, et al., Local Laplacian for Face Detail Transfer, Journal of CAD/CG, 20(1): 50-54, 2008.
.	M. Song, et al., A Generic Framework for Efficient 2D and 3D Facial Expression Analogy, IEEE Transactions on Multimedia (T-MM), 9(7): 1384-1395, 2007.
.	M. Song, et al. An Efficient Method of Face Texture Mapping Directed to Portable Devices, Journal of CAD/CG, 17(12): 2670-2675, 2005.
.	Z. Feng, X. Wang, C. Ke, A. Zeng, D. Tao, M. Song, Dual Swap Disentangling, NIPS 2018. Acceptance.
.	C. Shen, J. Song, S. Song, L. Sun, S. Luo, M. Song, Intra-class structure aware networks for screen defect detection, ICONIP 2018. Acceptance.
.	S. Luo, Y. Yang, Y. Yin, C. Shen, Y. Zhao, M. Song, DeepSIC: Deep Semantic Image Compression, ICONIP 2018. Acceptance.
.	T. Shen, Z. Gu, Y. Wang, S. Toledo, S. Zhang, M. Song, Where to Rendezvous? Prefering Quiet Channels in Cognitive Radio Networks, MSWiM’18. Acceptance.
.	Y. Jing, Y. Liu, Y. Yang, Z. Feng, Y. Yu, D. Tao, M. Song, Stroke Controllable Fast Style Transfer with Adaptive Receptive Field, ECCV 2018. Acceptance.
.	J. Song, C. Shen, J. Lei, A.-X. Zeng, K. Ou, D. Tao, M. Song, Selective Zero-Shot Classification with Augmented Attribute, ECCV 2018. Acceptance.
.	J. Lei, Z. Wang, Z. Feng, M. Song, J. Bu, Understanding the prediction process of Deep Networks by Forests, IEEE International Conference on Multimedia Big Data (BigMM 2018). Acceptance.
.	Y. Zhao, S. Luo, Y. Yang, M. Song, DEEPSSH: Deep Semantic Structured Hashing for Explainable Person Re-Identification, IEEE International Conference on Image Processing. Acceptance.
.	J. Song, C. Shen, Y. Yang, Y. Liu, M. Song, Transductive Unbiased Embedding for Zero-Shot Learning, CVPR 2018.. .	J. Ye, Y. Jing, J. Lei, Z. Feng, M. Song, Finer-Net: Cascaded Human Parsing with Hierarchical Granularity, ICME 2018,.
.	J. Song, Y. Shen, Y. Jing, M. Song, Towards Deeper Insights into Deep Learning from Imbalanced Data, CCCV 2017, 674-684, 2017.
.	J. Lei, Q. Luan, X. Song, X. Liu, M. Song, Action Parsing Driven Video Summarization based on Reinforcement Learning, ChinaMM 2017.
.	Zunlei Feng, Jie Lei, Yongcheng Jing, Mingli Song, et al., Graph-based color gamut mapping using neighbor metric, International Conference on Multimedia and Expo 2017.
.	Jie Lei, Zunlei Feng, Mingli Song, Dacheng Tao, WHICH FACE IS MORE ATTRACTIVE?, ICIP 2016, August 2016.
.	Xinhui Song, Mingli Song, Ke Chen, Li Sun, Jie Lei, Category Driven Deep Recurrent Neural Network For Video Summarization, ICME 2016 Workshops, July, 2016.
.	Jie Lei, Xinhui Song, Li Sun, Mingli Song, Na Li, Chun Chen, Learning deep classifiers with deep features, ICME 2016, July, 2016.
.	X. Liu, B. Tang, Z. Wang, X. Xu, S. Pu, D. Tao, M. Song, Chart Classification by Combining Deep Convolutional Networks and Deep Belief Networks, ICDAR 2015, pp. 801-805.
.	J. Lei, M. Song, J. Bu, Z. Li, et al., Whole-Body Humanoid Robot Imitation with Pose Similarity Evaluation, ICPR 2014, pp. 4240-4245, 2014.
.	Q. Luan, M. Song, C. Chen, et al., Video Summarization Based on Nonnegative Linear Reconstruction, ICME 2014, pp.1-6, 2014.
.	X. Liu, D. Tao, M. Song, J. Bu, and C. Chen, Nearest Neighbor-based Label Transfer for Weakly Supervised Multiclass Video Segmentation, CVPR 2014. (Oral, 5.75%).
.	X. Liu, M. Song, D. Tao, J. Bu and C. Chen, Semi-Supervised Coupled Dictionary Learning for Person Re-identification, CVPR 2014.
.	C. Wei, H. Chen, M. Song, M.-T. Sun, A Capture-to-Display Delay Measurement System for Visual Communication Applications, APSIPA 2013.
.	H. Liang, M. Song, R. Liang, Personalized 3-D Facial Expression Synthesis based on Landmark Constraint, APSIPA 2013.
.	L. Zhang, M. Song, Z. Liu, X. Liu, J. Bu, C. Chen, Probabilistic Graphlet Cut: Exploring Spatial Structure Cue for Weakly Supervised Image Segmentation, CVPR 2013, pp. 1908-1915, June 2013.
.	X. Liu, M. Song, D. Tao, Z. Liu, L. Zhang, J. Bu, C. Chen, Semi-supervised Node Splitting for Random Forest Construction, CVPR 2013, pp. 492-499, June 2013..
.	C. Shen, M. Song, Q. Zhao, Learning High-Level Concepts by Training A Deep Network on Eye Fixations, Deep Learning and Unsupervised Feature Learning NIPS Workshop, 2012.
.	Y. Liang, M. Song, et al., Face Sketch-to-Photo Synthesis from Simple Line Drawing, Asia Pacific Signal and Information Processing Association (APSIPA), 2012.
.	Y. Liang, M. Song, et al., Colorization for Gray Scale Facial Image by Locality-constrained Linear Coding, Pacific Rim Conference on Multimedia (PCM2012), pp. 56-67, 2012.
.	L. Sun, M. Song, et al., Pose Estimation with Motionlet LLC Coding, Pacific Rim Conference on Multimedia (PCM2012), pp. 435-443, 2012.
.	S. Wang, Q. Zhao, M. Song, et al., Learning Visual Saliency based on Object's Relative Relationship, Neural Information Processing (ICONIP2012), pp. 318-327, 2012.
.	X. Liu, M. Song, et al., Joint Shot Boundary Detection and Key Frame Extraction, International Conference on Pattern Recognition (ICPR2012), pp. 2565-2568, 2012.
.	L. Zhang, M. Song, et al., Spatial Graphlet Matching Kernel for Recognizing Aerial Image Categories, International Conference on Pattern Recognition (ICPR2012), pp. 2813-2816, 2012.
.	C. Hong, J. Zhu, M. Song, et al., Realtime Object Matching with Robust Dominant Orientation Templates, International Conference on Pattern Recognition (ICPR2012), pp. 1152-1155, 2012.
.	Y. Wang, J. Bu, N. Li, M. Song, et al., Detecting Discontinuities for Surface Reconstruction, International Conference on Pattern Recognition (ICPR2012), pp. 2108-2111, 2012.
.	J. She, D. Wang, M. Song, Automatic Image Cropping using Sparse Coding, First Asian Conference on Pattern Recognition(ACPR2011), pp. 490-494, 2011.
.	L. Zhang, M. Song, et al., Large-scale Outdoor Scene Classification by Boosting a Set of Highly Discriminative and Low Redundant Graphlets. ICDM Workshops, pp. 847-852, 2011.
.	S. Wang, M. Song, et al., Opponent and Feedback: Visual Attention Captured, Neural Information Processing (ICONIP2011), 3: 667-675, 2011.
.	Z. Zhou, J. Bu, L. Zhang, M. Song, et al., Describing Human Identity using Attributes, Neural Information Processing (ICONIP2011), 3: 86-94, 2011.
.	L. Zhang, W. Bian, M. Song, et al., Integrating Local Features into Discriminative Graphlets for Scence Classification, Neural Information Processing (ICONIP 2011), 3: 589-598, 2011.
.	L. Zhang, M. Song, et al., Feature Relationships Hypergraph for Multimodal Recognition, Neural Information Processing (ICONIP 2011), 3: 657-666, 2011.
.	L. Zhang, M. Song, et al., Fast Multi-view Graph Kernels for Object Classifcation, Australasian Conference on Artificial Intelligence (AI 2011), pp. 570-579, 2011.
.	Z. Zhou, M. Song, et al., kPose: a new representation for action recognition, Asian Conference on Computer Vision (ACCV 2011), Lecture Notes in Computer Science, 6494: 436-447, 2011.
.	B. Xie, M. Song, et al., Random Project Tree and Multiview Embedding for Large-scale Image Retrieval, International Conference on Neural Information Processing (ICONIP2010), pp. 641-649, 2010.
.	Y. Yang, M. Song et al., Color to Gray: Attention Preservation, Pacific-Rim Symposium on Image and Video Technology (PSIVT2010), pp. 337-342, 2010.
.	C. Hong, N. Li, M. Song, et al., A Level-set based Tracking Approach for Surveillance Video with Fusion and Occlusion, Pacific-Rim Symposium on Image and Video Technology(PSIVT2010), pp. 156-161, 2010.
.	B. Xie, M. Song, et al., Large-scale Dictionary Learning for Local Coordinate Coding, British Machine Vision Conference (BMVC2010), Lecture Notes in Computer Science, 6444: 641-649, 2010.
.	H. Huang, Y. Lin, M. Song, et al., Face Aging by Sparse Representation, Pacific Rim Conference on Multimedia(PCM2010), pp. 571-582, 2010.
.	Y. Yang, M. Song, et al., What is the Chance of Happening: A New Way to Predict Where People Look, European Conference on Computer Vision (ECCV2010), pp. 631-643, 2010.
.	L. Zhang, M. Song, et al., Feature Selection for Accelerating Speech based Emotion Recognition, ACM Multimedia(MM2009), pp. 753-756, 2009.
.	Y. Yang, M. Song, et al., Visual Attention Analysis using Classic Theory of Gravitational Field, ACM Multimedia(MM2009), pp. 553-556, 2009.
.	H. Mao, C. Ye, M. Song, et al., Viewpoint Independent Vehicle Speed Estimation from Uncalibrated Traffic Surveillance Cameras, International Conference on System, Man & Cybernetics (SMC2009), pp. 4920-4925, 2009. .	Y. Lin, C. Chen, M. Song, et al., Implicit Surface Reconstruction with An Analogy of Polar Field Model, Pacific-Rim Symposium on Image and Video Technology 2009 (PSIVT2009), pp. 436-448, 2009.
.	C. Ye, J. Liu, C. Chen, M. Song, et al., Speech emotion classification on a Riemannian manifold, Pacific Rim Conference on Multimedia (PCM2008), Lecture Notes on Computer Science, 5353:61-69, 2008.
.	C. Pang, M. Song, et al., Painterly Rendering with Vector Field based Feature Extraction, International Conference on Artifical Reality and Telexistence (ICAT2006), Lecture Notes on Computer Science, 4282: 960-968, 2006.
.	Q. Wu, M. Song, et al., EigenExpress Approach in Recognition of Facial Expression using GPU, ECCV 2006 workshop on Human-Computer Interaction, Lecture Notes in Computer Science, 3979: 12-20, 2006.
.	J. Bu, L. Mo, C. Chen, Z. Yang, M. Song, Multiple-Reference-Frame Based Fast Motion Estimation & Mode Decision for H.263-to-H.264 Transcoder, IEEE International Conference on Image Processing (ICIP06), pp. 849-852, 2006.
.	M. Song, et al., Subtle Facial Expression Modeling with Vector Field Decomposition, IEEE International Conference on Image Processing (ICIP06), pp. 2101-2104, 2006.
.	M. Song, et al., Real-Time Facial Expression Mapping for High Resolution 3D Meshes, Computer Graphics International (CGI 2006), Lecture Notes in Computer Science , 4035: 277-287, 2006.
.	J. Bu, M. Song, et al., Sketch based Facial Expression Recognition using Graphics Hardware, Affective Computing and Intelligent Interaction (ACII05), Lecture Notes in Computer Science,3784: 72-80, 2005.
.	M. Song, et al., Audio-Visual based Emotion Recognition-A New Approach, IEEE International Conference on Computer Vision and Pattern Recognition (CVPR2004), pp. 1020-1025, 2004.
.	M. Song, et al., 3D Realistic Talking Face Co-Driven by Text and Speech, IEEE International Conference on Systems, Man & Cybernetics (SMC2003), pp. 2175-2180, 2003.